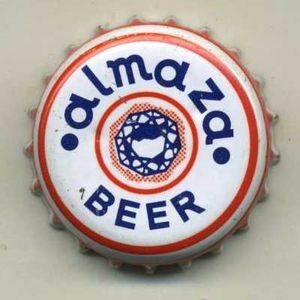 Almaza was named #1 beer in the Middle East and North Africa by CNN report; despite the fact of competing in a very “dry” region of the world with few Arab countries that brew local beer such as Syria, Jordan and Egypt. The heritage of the Almaza beer made it resist the market entry of many other Lebanese beers such as 961 Beer, Lebanese Brew or Kota. Its taste stays above the rest without denying the “bubbling effect” that has increased in the last couple of years making it lose a chop of the market. Many believe this is due to the fast fermentation of each batch, a way to meet high consumption rate in the Lebanese market. This opened the door for world famous brands such as Tuborg and Miller to invade the market, making them a direct competitor to Almaza, as these brand names are being produced in Turkey and sold at a price similar to Almaza.